Discussion in 'Article Discussion' started by Gareth Halfacree, 8 Apr 2016. I kind of like the look, but it's a gimmick that adds a potential point for catastrophic failure, so pass. Clear tubing with red liquid would have made it a much more desirable product. As it is, it's just an also-ran. Surely there's nothing more steampunk than matt black moulded plastic and shiny chrome? 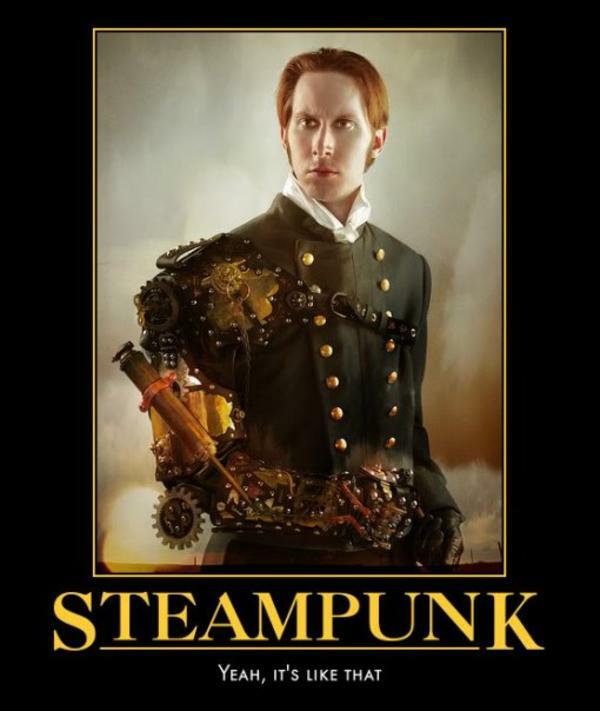 But seriously, given how badly translated the rest of the page is I'm willing that 'their' definition of Steam Punk isn't the same as yours or mine. I actually quite like it. OMG, it's something with 'bling' aimed at GAMERS and I'm liking it? What's up with me! The Captain EX AIO coolers? Nope. The 'steampunk' misquote doesn't even ruffle my feathers. What does is the marketing branding term before it. Anyone stupid enough to think a product is crazy really must be as dull as dishwater in real life. Also, 100% metal material clip? As opposed to an only 80% metal material clip that they usually use maybe? They kindly thought of putting in holes for installing fans on the radiator as well, what a useful feature, I wish all those proper watercooling companies would be so kind as to do that too. Finally I'm confused as to why they'd use the term three phase induction motor when that's clearly a brushless dc motor. This sent my ******** meter ringing so loud that the neighbours rang the fire brigade.